Another Wednesday, another lesson. 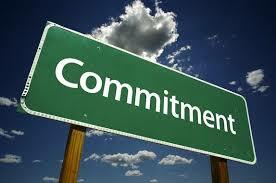 This week, we’re talking about being really committed. I know, I know, I’ve talked about this before. I’m only one person and I run out of ideas quickly. but hey, at least I always put a little different spin on it, right? So we’re talking about being committed to writing. I’m actually just starting to get really good at committing myself to just sitting down for a few minutes every day and writing. In fact, I started another manuscript just three days ago, and I already have just over 4,000 words written! Talk about making sure you have time to write. I’m trying to write at least 1,000 words a day. I know, that can be a lot. But, I really want to make sure that I get it done in a timely manner. I only work on new material every other month (weird strategy, I know), so I try to get as much done as possible in that moment. Of course, I always try to edit whenever I get the chance. I try to make sure I have time at least twice a week. But on the months that I’m not writing new material, I really buckle down and edit. I try to make sure I have an hour or so at least once a week, but try to get a few minutes every day. It does help. I’ve heard the excuse, “I just don’t have time” more times than I can count. I hate that excuse. Do you have just five minutes to spare? Yes? Get to writing. You’d be surprised at how much you can get done. It will take longer, yes, but it can get done. I can’t tell you how much it bugs me when people say they don’t have time. I’m guilty of it as well, and I hate it. If you’re committed, you’ll make time. Even if it’s just for about 30 minutes at the end of the day, I try to make time. Even if you have less than that, you have time. Ready to commit? Then here’s you’re countdown: Three…two…one. Get to writing! When I feel like I don’t have time to commit to writing (or any other important practice), I sometimes try to think of how many hours are actually in a week. 168. If I commit to write 30 minutes a day, that’s 3.5 hours. Or approximately 2% of the week. I dunno, makes it seem more manageable to me.